Stand the chance to win your share of R15 000 in Edgars vouchers for a guilt-free shopping splurge on us! Find out more here to win. Edgars Mag is now online, so you can get your fashion, beauty and home trend inspiration 24/7! 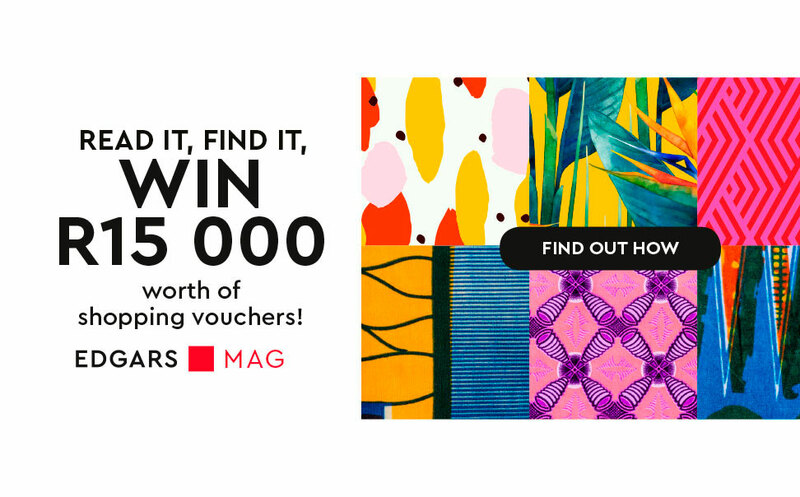 What's more, we're giving away R15 000 in shopping vouchers to you, our Edgars Mag readers, so you can shop the trends you love. We’re hiding one patchwork block every week for five weeks on Edgars Mag. 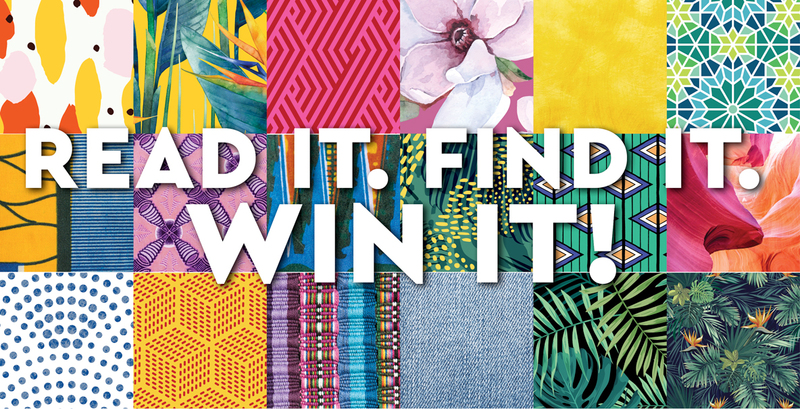 If you want to win one of five R3 000 shopping vouchers, it's your job to find it. Use the weekly clues posted here to guide you in the right direction. Now that you've got your clue, head to Edgars Mag and search through the articles until you find the patchwork block (see what it looks like below). When you find it, click on it to enter. You’ll then be directed to a form to fill in your name and contact details (so we can get in touch if you’re the lucky winner! ), and then hold thumbs. We’ll call and/or email you, should you be selected. Remember: There will be a new clue every Monday, so bookmark this page and check back in next week to increase your chances of winning. What can you buy with your R3 000 voucher? Well, anything your heart desires at any Edgars store – just imagine! Don't forget to read the terms and conditions below. 1. Edgars Mag competitions are not open to the directors, partners, sponsors, employees, agents, consultants, publishing, advertising and promotion agencies and associated companies of Edcon (Pty) Limited and their immediate families. 2. Participation constitutes acceptance of the terms and conditions of the competitions posted on Edgars Mag. 3. By entering any competition you also consent to your details being used for marketing purposes. 4. The competition closes on Sunday 4 May 2019, unless otherwise stated, and entries must reach us by no later than noon on the closing date. Prizes are not transferable and cannot be exchanged for their cash value. They will exclude any other expenses incurred by winning participants. 5. You can enter once for each of the five clues, but entrants can only win once. 6. The prizes on offer are five Edgars gift cards to the value of R3 000 each. 7. The Edcon (Pty) Limited auditors will randomly select the winners who will be notified by telephone or email. If winners are uncontactable for six weeks, their prizes will be forfeited. 8. Once the winner has been notified and the prize has been handed over, the winner must sign an Edcon acknowledgement of receiving the prize. 9. It is the responsibility of each entrant to ensure that his or her details are correct. Edcon will not be held liable in any way relating to incorrect information provided. 10. The winner must provide valid proof of identity (a green bar-coded ID book, passport or driver's licence). 11. Prizes not claimed within three months will be forfeited. 12. Once contacted, the winners will be announced on the Edgars and Edgars Club Facebook page, once consent has been given. 13. Anyone choosing not to have their names published will forfeit the prize and another winner will be drawn. 15. Regrettably, only winners residing in South Africa are eligible for prizes. 16. This promotion is in no way sponsored, endorsed or administered by, or associated with, Instagram or Facebook. 17. Sponsoring parties are not liable or responsible for any or all losses, rights, claims and actions in connection with, or resulting from, participating in the competition or accepting the prizes. 18. Promoter: Edcon Limited, 1 Press Avenue, Crown Mines, Johannesburg, South Africa. It says "click to here to win" but nothing opening. Clearly no link attached. I pay my account every month but I did not receive the statement.